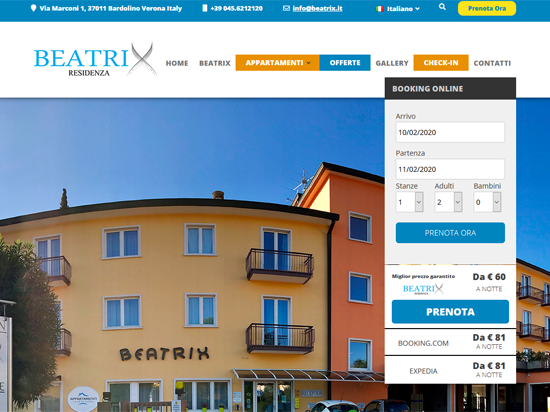 Ideally situated Beatrix App. 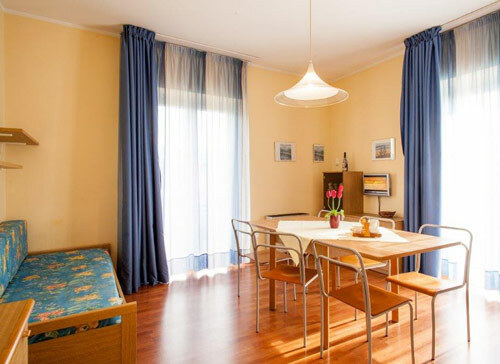 offers holidays that are both relaxing and full of opportunities for recreation and entertainment. 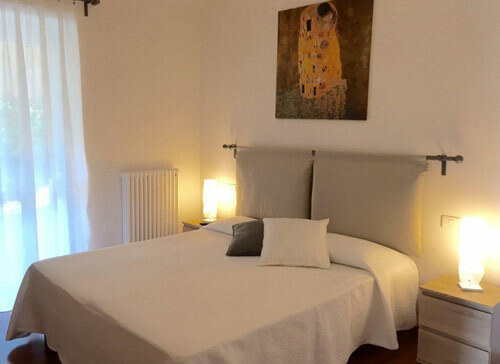 It is just 100 meters from the lake and a short walk from the centre of Bardolino, a characteristic lakesidetown with a wealth of shops, restaurants, inns and bars.The 24 apartments suitable for 2/4/6 people are furnished with kitchenette with sofa-bed, bathroom with shower, bedromm(s) with twin beds or double bed, Sat TV and safety deposit box (supplemental charge).Balcony or terrace. 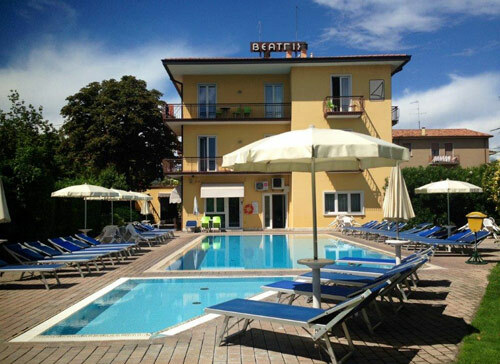 Facilities: outdoor swimming pool with garden-solarium, laundromat. 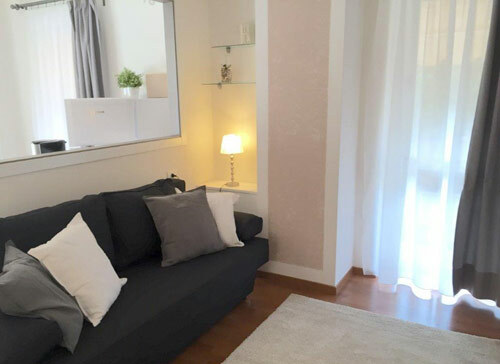 Air conditioning on request.Residenza Beatrix: comfort and convenienze for all in the heart of Bardolino, one of the most fascinating towns on the lake, full of tradition and fun. 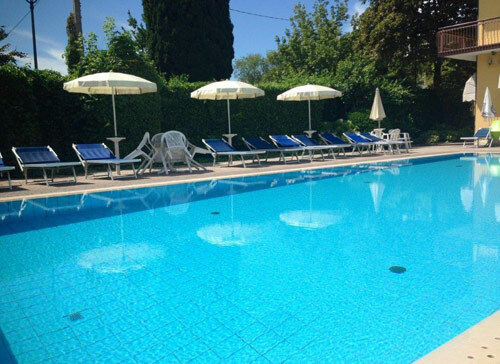 Bardolino is half of the Verona side, in the widest point of Lake Garda. The mild climate favors the growth of typical Mediterranean plants: olives, cypresses, oleanders, laurels, and vineyards prosper on the hills which surround the center, which stretches towards the lake with two characteristic projections, formed over the centuries by the two rivers.